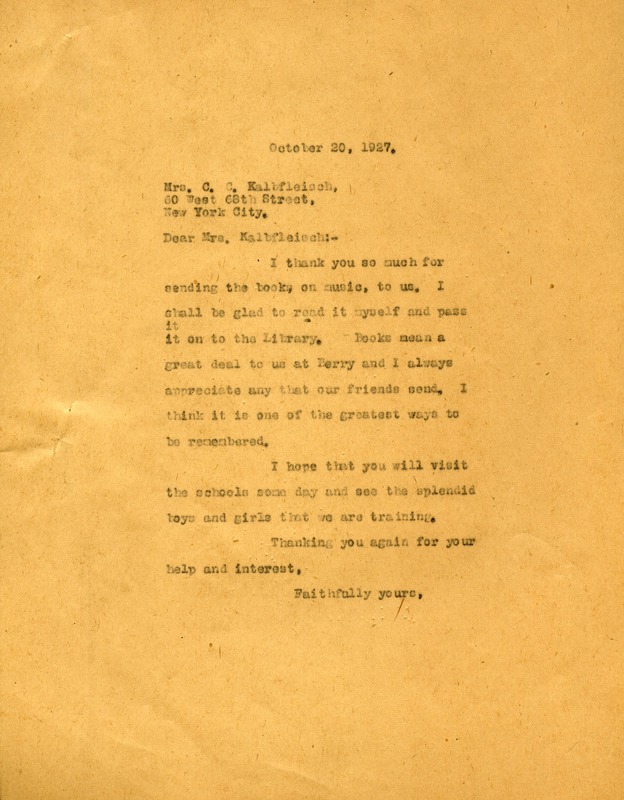 Martha writes to thank Mrs. Kalbfleisch for the book on music and believes that it will be of good use to the school. Martha hopes she will visit the school some day. Martha Berry, “Letter to Mrs. Kalbfleisch from Martha Berry.” Martha Berry Digital Archive. Eds. Schlitz, Stephanie A., Aaron Jackson, et al. Mount Berry: Berry College, 2012. accessed April 24, 2019, https://mbda.berry.edu/items/show/6428.